Vivo Phone Assistant is the official PC Suite application made by Vivo, which allows you to easily connect your Vivo Smartphone and Tablets to the Windows Computer and sync data between them. Here, on this page we have managed to share the latest version of Vivo Phone Assistant along with the previous versions. It allows you to easily install 3rd party apps on your Vivo Smartphone and Tablets. Beside this, it also allows you to uninstall the existing apps from the device, export the apps from your device to the computer, Moving the Apps to the SD card. It allows you to quickly add photos on your Vivo Smartphone and tablets from the computer. It also allows you to Batch select Multiple Photos and delete them in a single click, playing photos as a slide show, easily export photos from the device to the computer. It allows you to Manage your Contacts from the computer itself. You can Add multiple entries in few clicks only, exporting contacts and deleting them in a single click. It allows you to read the existing Messages from the device and batch select the messages and delete them in a single click. You can also compose new messages and send them to the recipient. You can easily add new activities to the specific date of the month. It allows you to delete the existing activities in a single click only. It also allows you to import or export the calendar activities. It also allows you to Sync data between the vivo device and Windows Outlook. Your Computer should have outlook installed in order to use this feature. 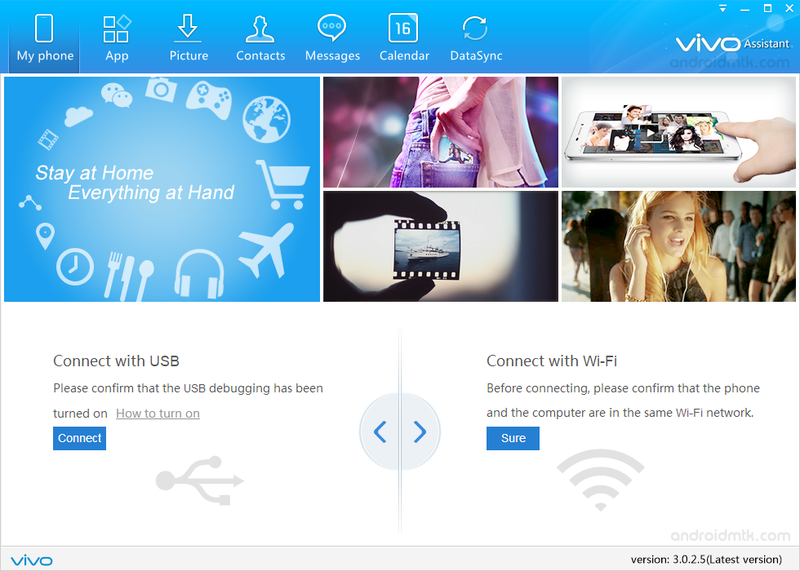 [*] Compatibility: Vivo Phone Assistant is compatible with Windows XP, Vista, Windows 7, Windows 8, 8.1 and Windows 10 Only. [*] Vivo Stock ROM: If you are looking for the official Stock ROM then head over to the Download Vivo Stock ROM Page. [*] Vivo USB Driver: If you are looking for the official USB Driver then head over to the Download Vivo USB Driver Page. [*] Credits: Vivo Phone Assistant is officially created by Vivo Mobile Inc. So, full credits goes to them for sharing the tool for free.